First, Pluto was unknown. After Neptune was discovered, it's orbital oddities led researchers to believe that there was a ninth planet. Eventually, Pluto was discovered and became the ninth planet for several decades. As time went by and more research was conducted, Pluto was found to be smaller than expected. Much smaller. In fact, too small to cause the irregularities in other planets' orbits; it was found by accident. 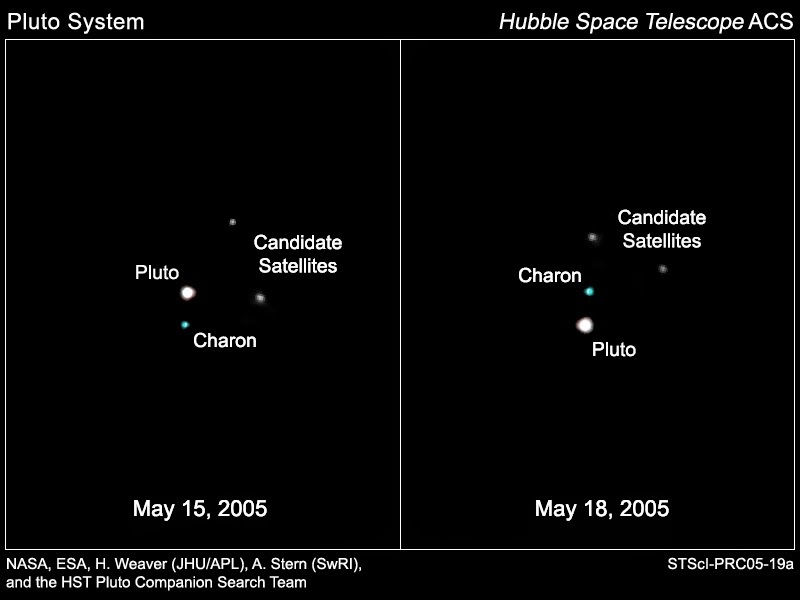 Pluto's own orbit and rotation (on its side, like Uranus) are odd. For a while, Pluto was the eighth planet and Neptune was the ninth! Things like this baffle evolutionary cosmologists, but cause no difficulty to creationists. Pluto has satellites, and the one called Charon is over half the diameter of Pluto (I wonder what this has done to the "science" of astrology). Now it has been demoted to the status as a "dwarf planet" (I'm still not over it, but life goes on). And there are quite a few objects out there. Some astronomers have tried to use these to salvage the unobserved, hypothetical Kuiper Belt, but most prefer to stay with observational science and call them "trans-Neptunian objects". The discovery of Neptune in 1846 was a triumph of Newtonian physics. The planet was detected by its gravitational influence on the orbit of Uranus. This novel technique prompted astronomers to carefully monitor the orbits of Uranus and Neptune hoping that subtle deviations in their orbits might lead to new discoveries. By the end of the 19th century, some astronomers believed an additional planet was needed to explain slight discrepancies in the orbits of these planets. In 1906 Percival Lowell began a systematic search for this undiscovered world he termed “Planet X.” He died before finding it. You can read the rest of this fascinating article at "The Solar System: Pluto".